Our mission is to help Small and Medium businesses to focus on growing their business rather than taking care of business process and paperwork by using a software that will automate their business process. 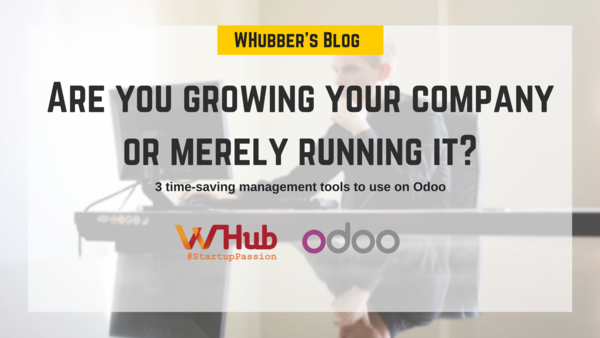 It is easy to spend too much time running your company rather than growing it! Business owner can get stuck in managing paperwork, spreadsheets or paying for several software that are not integrated or not affordable. Odoo propose a full suite of business applications that are fully integrated, mobile friendly and easy to use (CRM, Sales, Invoicing, CMS, Point of Sale, Project, Inventory, Manufacturing, Timesheet, Human ressources management etc.) at a tailor made and adapted price. Thanks to our business apps approach you can start only with one module and then grow in order to reduce risks and make sure the software will fulfill your needs. Feel free to contact us for a free demo of the software via the following link!